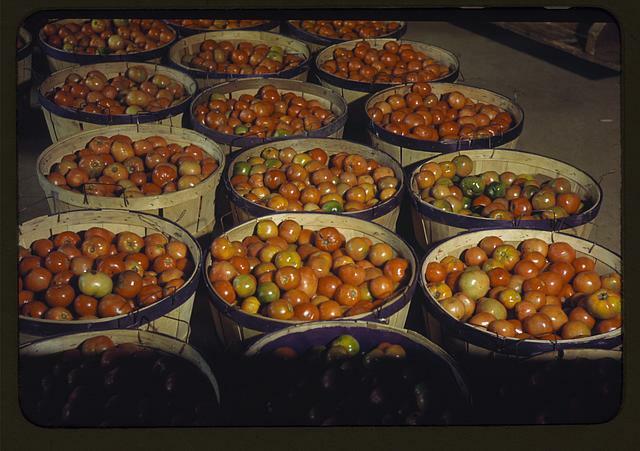 An Iowa teen produced more than 5,000 pounds of tomatoes in 1914 and got rewarded for her effort. Eloise Parsons, 14, a member of the Page County Tomato Club, was honored for her work as a model tomato grower. On a small one-tenth of an acre tract of land near Clarinda, she grew a bumper crop of vegetables in the summer of 1914. After deducting her expenses of $15.61, which included renting the land, applying fertilizers, and her labor at a rate of ten cents per hour, Eloise saw a profit of $115.57. The “Tomato Girl” said she started her crop in February, sewing seeds in boxes in the south window of the family dining room. She moved the plants outside on May 22. “I picked my first ripe tomatoes on the 9th of July,” she added. When school started in the fall, Eloise rode over a mile to Clarinda High School every day. After school she spent her evenings in the tomato field. At first she sold the crop to local restaurants and hotels, getting between two and 10 cents per pound. Her dad, a dairy farmer, sold some to his milk customers. She gave some to neighbors. And she canned 100 quarts. By the end of the season she had produced 5,318 pounds of tomatoes from her little plot of land. Eloise shared her method of canning tomatoes. She said it was important to start with clean tomatoes and jars. She packed whole tomatoes in the jars, covering them with hot water and a little salt. She placed the jars in hot water with the tops screwed down loosely. After boiling the filled jars for 22 minutes, she removed them and tightened the tops. 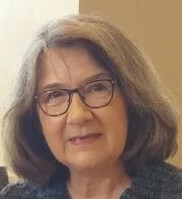 Eloise exhibited 24 varieties of canned fruits and vegetables at the Iowa State Fair, winning 1st, 2nd and 4th prizes in different categories. She canned beets, beans, celery, carrots, pears and plums. She pickled onions and made watermelon pickles. In addition, she canned chicken and made sausage at the family farm. Late in February 1915 Eloise met other Iowa youths at Iowa State College in Ames, where the group set out for Washington, D.C. Along with the most successful boy corn grower, winner of baby pork producing contest and the bread baking champion, Eloise headed to the nation’s capital where the kids were recognized by the U.S. Department of Agriculture. Here Eloise’s record tomato crop was named the best among entries from thousands of youths from 33 other states. When Eloise returned to Iowa she gave talks about her experiences as the “Tomato Girl.” The director of her Tomato Club said, “If one girl can clear more than $100 on one-tenth of an acre, thousands could do as well.” Although many adults wanted her to be an example for their sons and daughters, Eloise may have discouraged some with her candid remarks. “I have enjoyed this work, although it has been long and sometimes a bit lonesome,” she admitted. “Eloise Parsons, Member of Page County Tomato Club, Makes Big Profit,” Des Moines Register, Feb. 7, 1915. “Girl of Fifteen is Champion Grower of Tomatoes in Iowa,” Des Moines Tribune, Aug. 25, 1916. “How Iowa Young Woman Won Garden and Canning Contest,” Davenport Democrat and Leader, Mar. 30, 1915. “Iowa’s Tomato Girl,” Quad-City Times, May 20, 1915. “Win Trip to Capital,” Evening Times-Republican, Feb. 25, 1915. “I have not given up hope but what my husband was saved in some way,” Carrie Toogood Chaffee told a Minneapolis newspaper reporter in April 1912. Carrie had grown up in Manchester, Iowa, but moved to North Dakota when she married a well-to-do businessman named Herbert Chaffee.